A flaw in Michigan's tax credits for videogame developers has landed the state in some legal hot water. Michigan has been trying to lure videogame developers to its territory thanks to some major tax benefits it approved in April 2008. However, a lawsuit filed against the state reveals that the system is apparently biased against anyone other than the smallest developers, meaning the state might not be such a friendly place for members of the industry. Nathaniel McClure, head of Scientifically Proven Entertainment, has filed suit against both the Michigan Film Office and the Michigan Department of Treasury after his application for tax credits was denied. 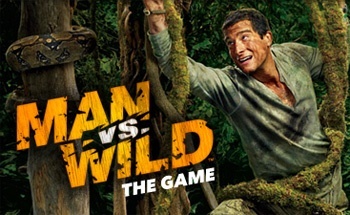 The studio employs fifteen people, provides internships to Michigan State University students, and is currently working on a licensed game for Man vs. Wild (a popular show on the Discovery Channel). McClure is threatening to move his company out of the state if the tax credits aren't approved. According to Michigan Film Commissioner Janet Lockwood, Scientifically Proven isn't eligible to receive tax credits because it doesn't have complete control over the intellectual property of Man vs. Wild. "An applicant with less than overall control over the project is not an 'eligible production company' eligible for the credit," Lockwood explained in a letter she sent to McClure in June. While it's common to see extremely small, independent, developers work on completely original projects, that isn't how things typically work in the industry. IPs are often owned by one company, which will then license them out to a publisher, which will then assign a project to a developer. If Michigan plans to continue insisting on this qualifier, then it doesn't seem likely that large development studios will be moving to the state any time soon. What makes the tax credit refusal for Scientifically Proven especially strange is that it was actually singled out in the Michigan Film Office's 2009 annual report as a noteworthy company that had opened its doors in the state. According to the Detroit Free Press, no one's actually claimed the benefits since they were made available.